Dubai: Meydan Hotels and Hospitality, a division of Meydan City Corporation, launched its own hotel management brand, Meydan Hotels, in January. The new company, managed by Abdin Nasralla, has assumed management of its owned properties Bab Al Shams and The Meydan hotel, which were formerly managed by the Jumeirah Group. "We can confirm that the day-to-day management of The Meydan Hotel and Bab Al Shams Desert Resort and Spa is back with Meydan LLC as from 1 January 2011," a spokesperson from Jumeirah Group said. "Both companies will cooperate closely to facilitate a smooth transition period." Jumeirah Group has operated Bab Al Shams since its opening on December 2, 2004 and Meydan Hotel since its opening on March 4, 2010. "Having successfully launched the two hotels under the Jumeirah Group, Meydan Hotels is delighted to now manage both properties under the newly formed hotel brand," Nasralla, vice-president of Meydan Hotels and Hospitality, told Gulf News. "We are anticipating a busy year ahead and the management transition of our two hotels is our primary focus this year," he said. Nasralla said he was happy with hotel occupancy so far and predicted that 2011 would be a strong year for the tourism and hospitality sector in Dubai. "Currently, the main feeder markets for our properties are Europe and the GCC," he said. "We will enhance our sales activities further within the GCC feeder markets and the Indian sub-continent, targeting corporate, group, government and leisure sales. 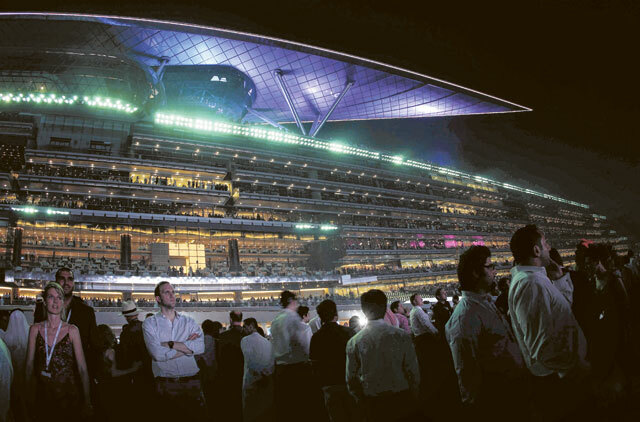 "As the world's first and only luxury trackside hotel, there is naturally a strong interest from horse-loving nations such as the UAE and the wider Middle East, Western Europe, the United States, Australia, New Zealand, South Africa, Japan, Hong Kong, China and Singapore." Nasralla also said the company will target the international MICE market "as we have amazing venues and facilities that are ideally suited for conferences and events, meetings, and incentives."